When it’s too cold to do anything outside and you have a snow day, you might as well try a new cold weather comfort food. 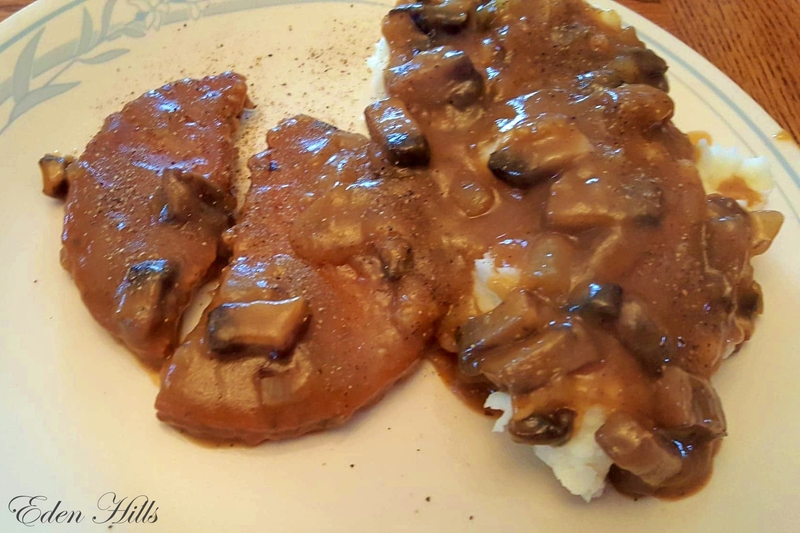 I made salisbury steak! Let’s face it. 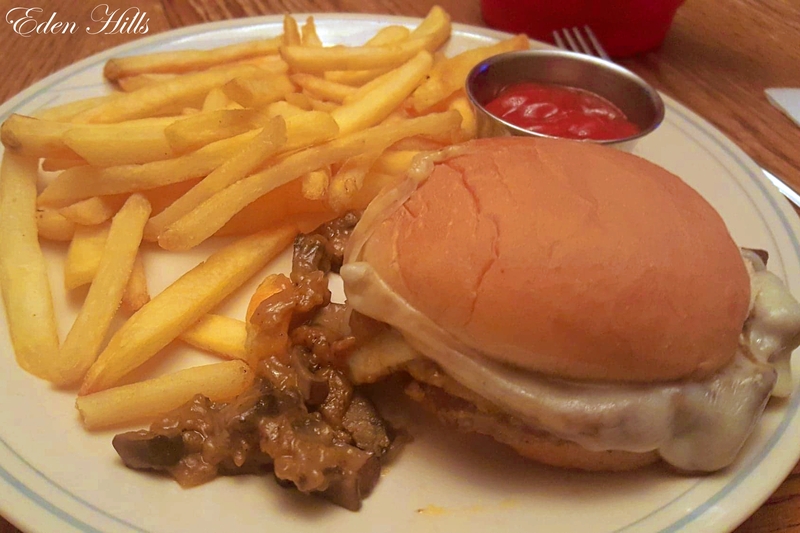 Salisbury steak is all about the gravy, so I used vegetarian hamburgers for my “steak”, but you can use a real hamburger or make your own chopped steak. Here’s the gravy recipe. In butter, sautee the chopped mushroom, garlic, and onion in an iron skillet. Add the flour and stir letting it brown a bit. Add the vegetable stock and seasonings and stir until it is thick and bubbly. Add the (microwaved to thaw) veggie burgers (or already cooked hamburgers) until everything is hot. 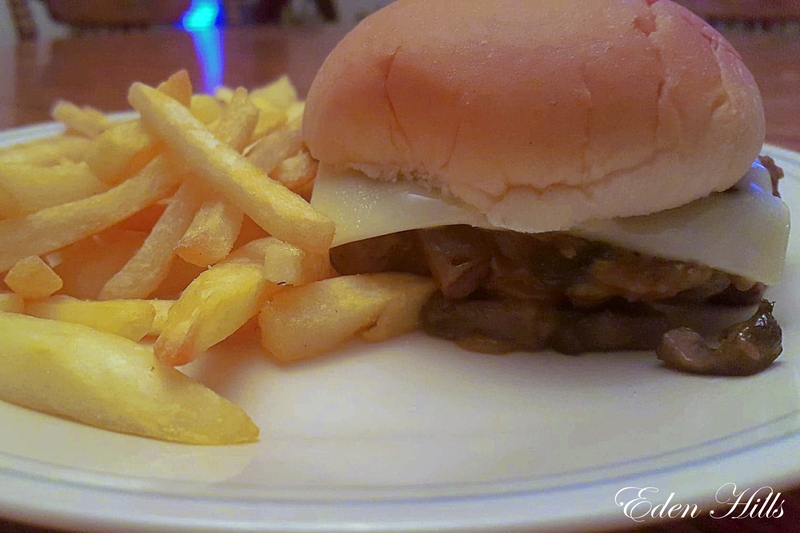 I had enough of the gravy with this that I used a third burger to make a mushroom swiss burger. It was delicious, but very messy. 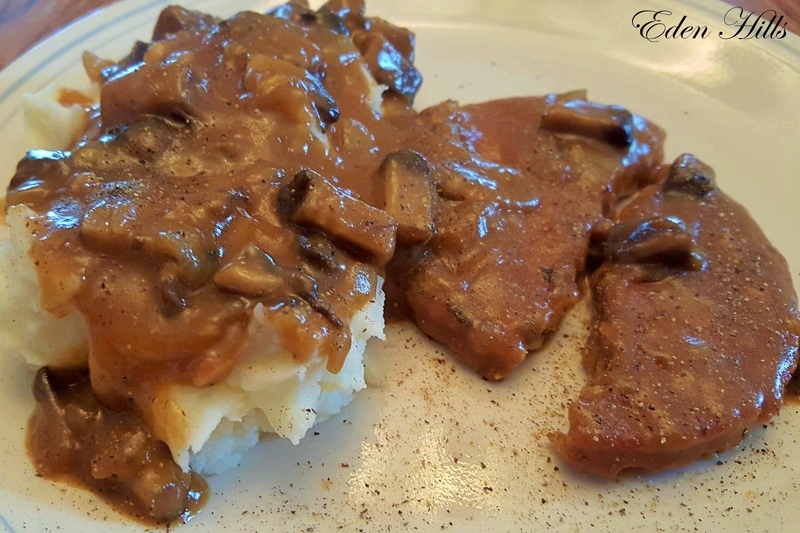 Easy peasy cold day comfort food!